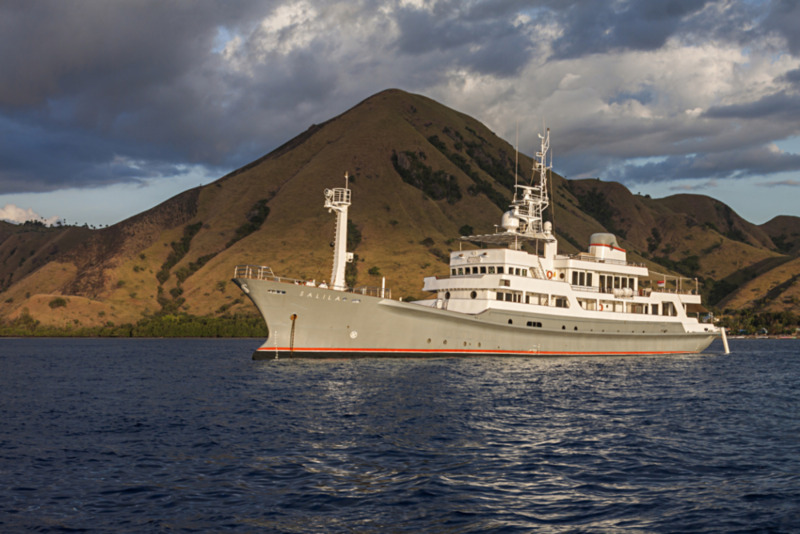 Salila offers guests something different from a traditional wooden phinisi; she is a 56-metre expedition vessel that was built for exploratory trips and has since been repurposed for private charter in the tropical waters of Indonesia. 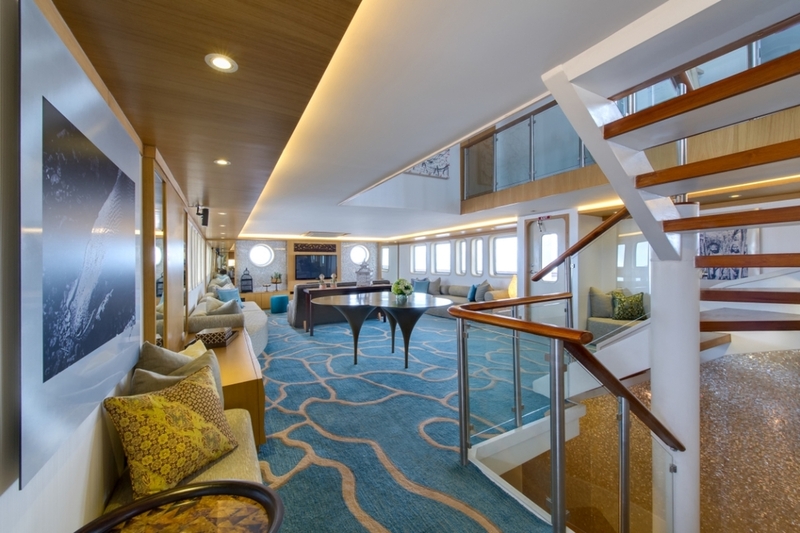 Whilst the boat’s exterior is functional in appearance, her contemporary interior design combines local woods, marble and cream soft furnishings to ensure a stylish and comfortable sojourn in one of the world’s most pristine and undiscovered environments. 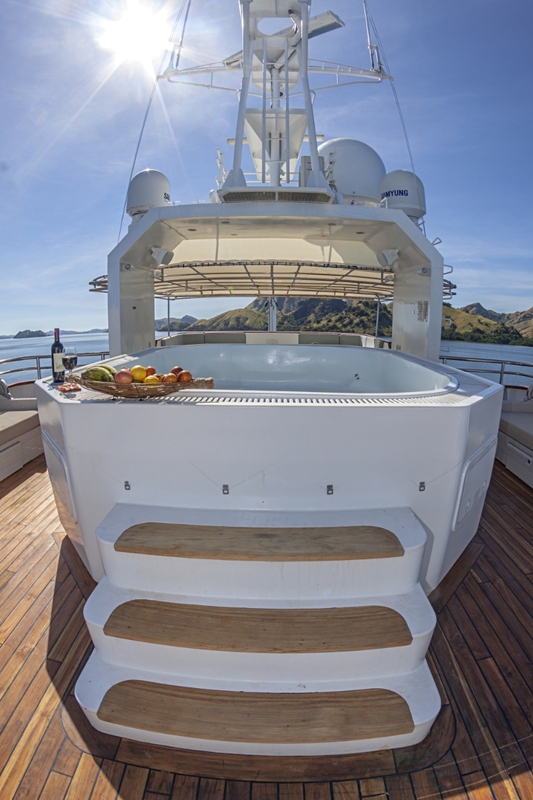 What’s more, Salila is the only yacht in the region with 10 ensuite cabins, meaning she is the perfect choice for large groups that want to relax onboard together. 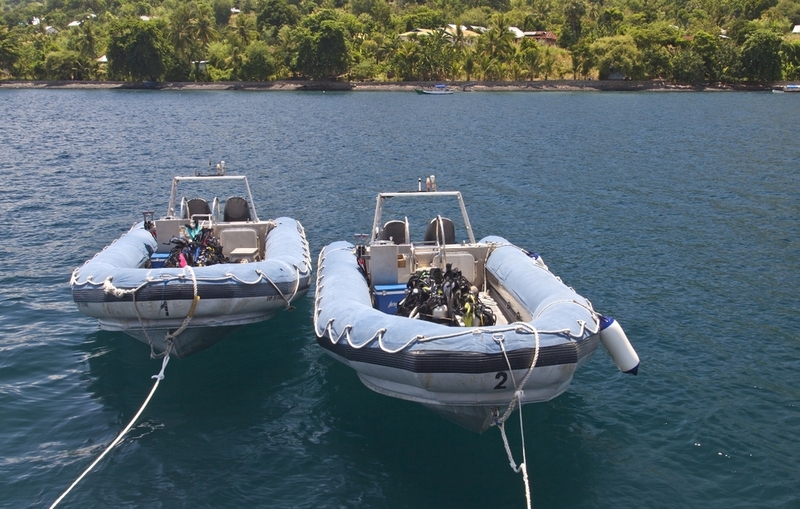 Her large size also means she can carry additional toys, such as bikes, jetskis, kayaks and 4 tenders for land excursions. Salila is made up of 10 spacious air-conditioned suites. 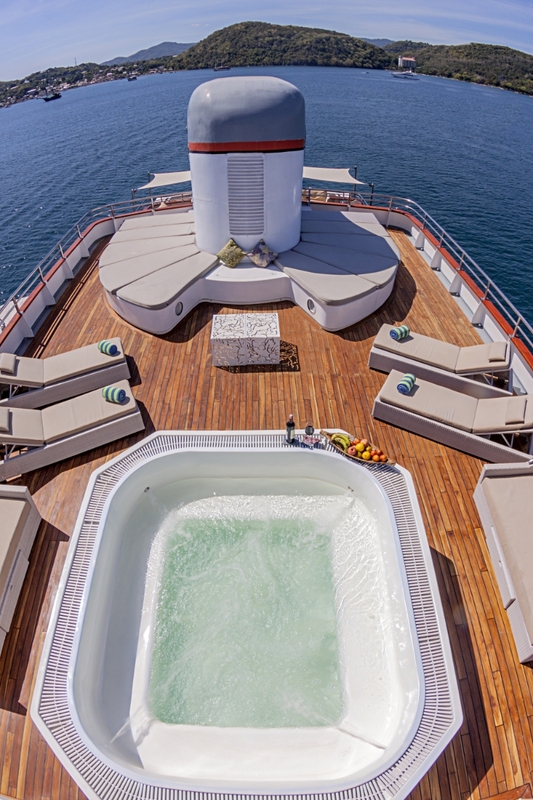 Unusually, she has two master cabins, both of which feature king-size beds, a writing desk and a large viewing port, not to mention ensuite bathrooms complete with bathtubs. 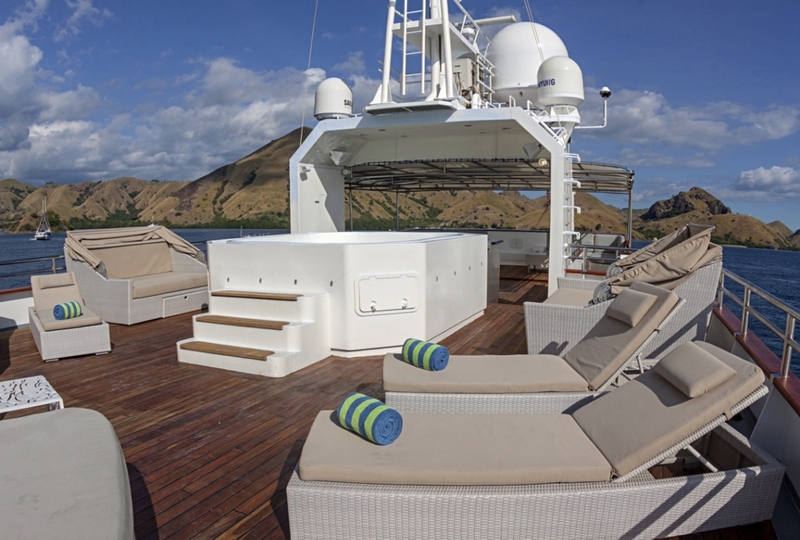 Of the additional 8 cabins, 2 are semi-masters, 2 are doubles and 4 are twin berth. 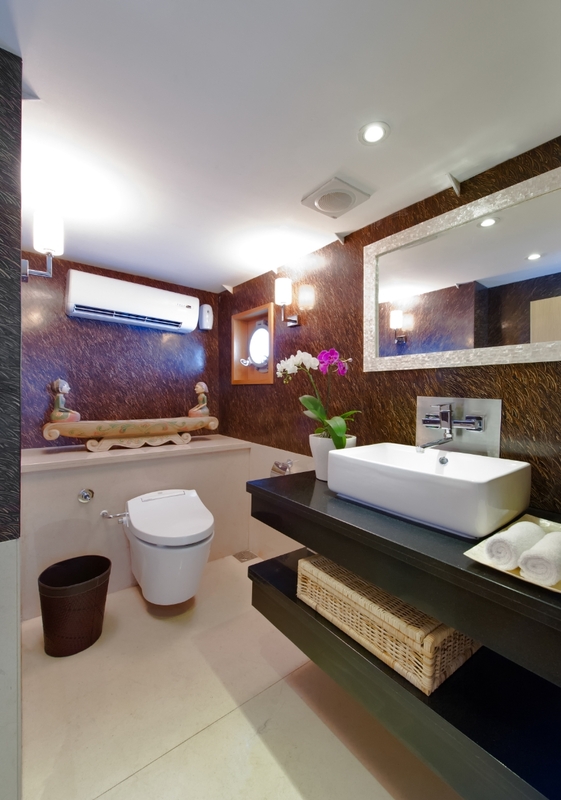 All feature TVs, a room-to-room telecom system and ensuite bathrooms. 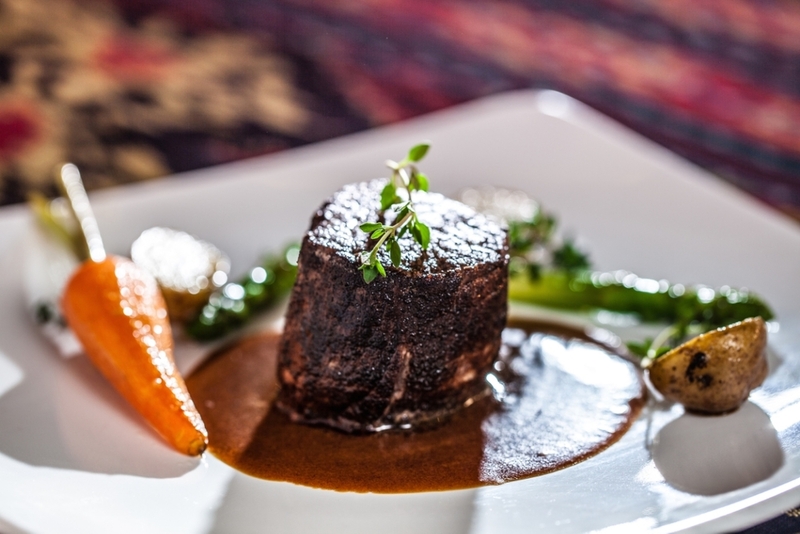 Salila features a particularly large and modern interior lounge and dining area, complete with cosy sofas, a sleek granite bar and two long tables carved from the finest wood. A library is fitted with comfortable chairs, plenty of books and an iMac computer with internet access, as well as a wide screen and projector. 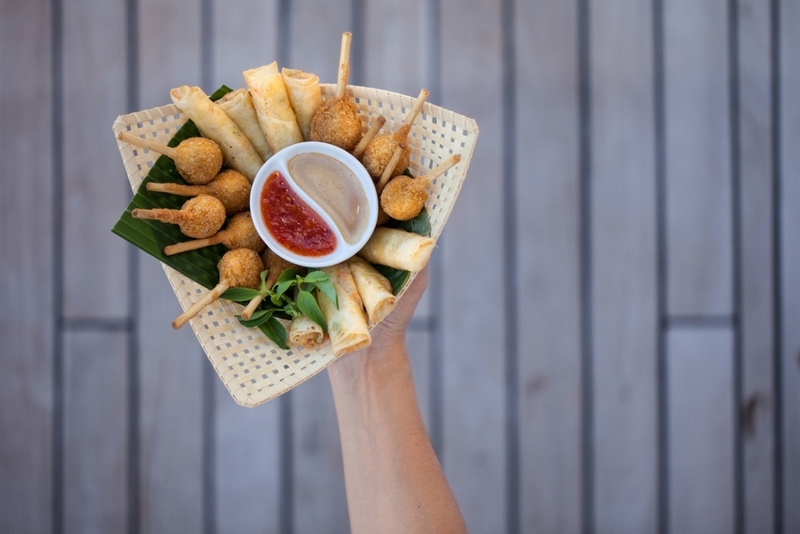 Salila’s expert chefs prepare an array of Indonesian, Asian and Western cuisine using fresh, locally sourced produce. 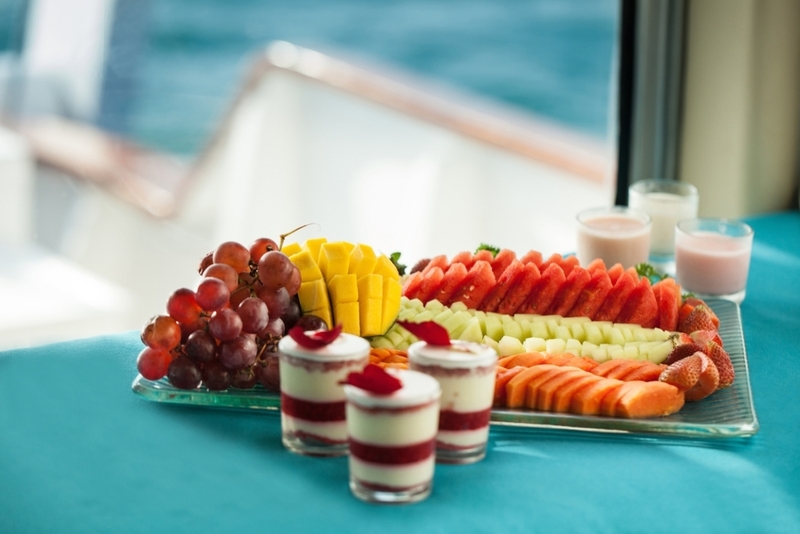 For a real treat, the team can arrange a beach BBQ spread of fresh fish and seafood. 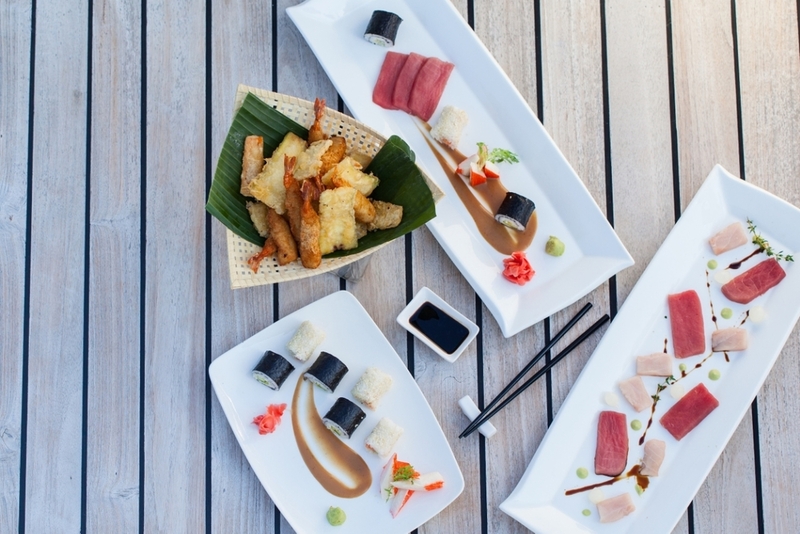 With a great deal of space and a dedicated expert crew on hand, Salila is a wonderful choice for unforgettable expeditions among Indonesia’s magical islands. Salila was built in 1991 in Japan and converted in 2012 in Jakarta and spans 56m. 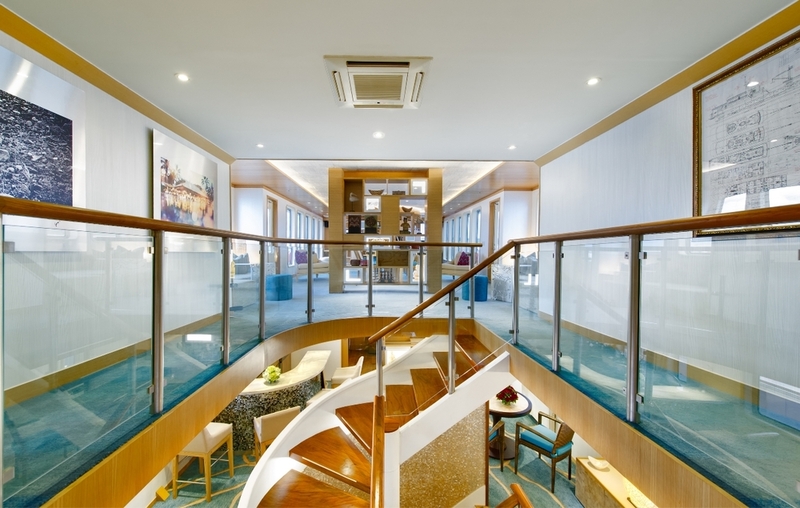 10 cabins accommodate up to 20 guests. She has a maximum cruising speed of 10 knots.